The gold market is set for its highest close in more than two weeks, currently at around $1,413/oz. Weakness in the dollar and in U.S. economic data, as well as an increase in Asian gold holdings, supported the price of gold today. The tug-of-war between physical and paper gold continues, but physical appears to be winning. In China, India and Singapore, demand for physical gold has more than offset outflows from exchange-traded funds. “If there are no more sales to come, then the record short position on Comex will prove a driving force to send the gold price higher as these shorts are closed and as the major banks and hedge funds go into the market to buy their gold back,” he added. Also adding to gold’s good day was yet another sharp drop in the Japanese Nikkei Stock Average (down 5.2% overnight) and disappointing U.S. GDP data. Unemployment claims were also higher in the U.S. than expected. Weak economic data signals the Federal Reserve should continue its quantitative easing program, which devalues the dollar. 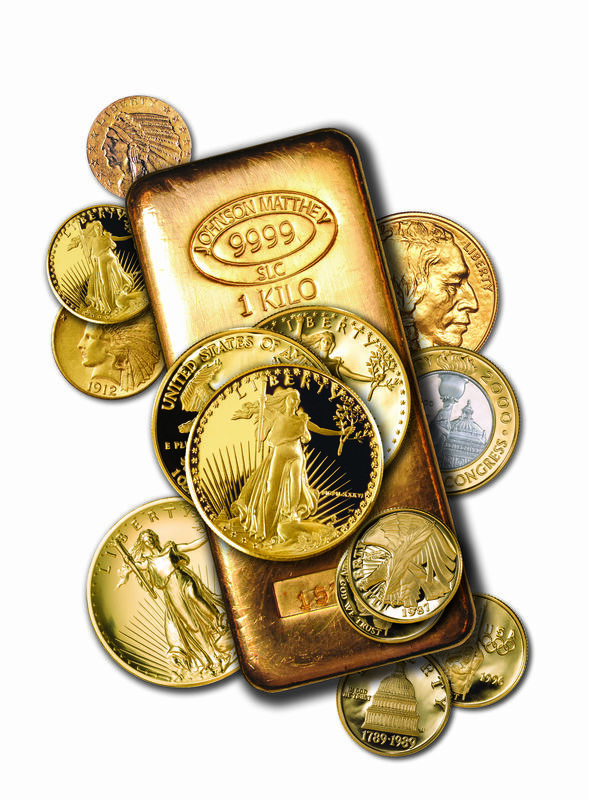 What this means for you: The U.S. economy remains weak while gold demand is on a record pace. With gold prices coming off a two-year low, Indian imports of the yellow metal ballooned between 300 and 400 tons in the second quarter of 2013, according to the World Gold Council. India’s demand for gold was nearly equal to half of all shipments in 2012. “This report leads us to conclude that Asian markets will see record quarterly totals of gold demand in the second quarter,” managing director of research at the World Gold Council Marcus Grubb said. “…It is quite likely that the gold previously held in ETFs will find a ready market among Indian, Chinese and Middle Eastern consumers who are taking a long-term view on the prospects for gold,” Grubb added. Lower prices and offloading of exchange-traded products are cited as main reasons for the boom in demand, which has been ravenous enough to cause shortages for almost any institution dealing in gold coins — even the U.S. Mint. What this means for you: Strong Asian demand supports the physical market in a time when ETFs are experiencing a mass exodus. With exchange-traded funds only partially backed by physical gold and actual physical gold being snatched up, doesn’t something have to give?